A black and white photograph of Vernon McCarl on the steps of the Whitby Centennial Building on February 18, 1967. 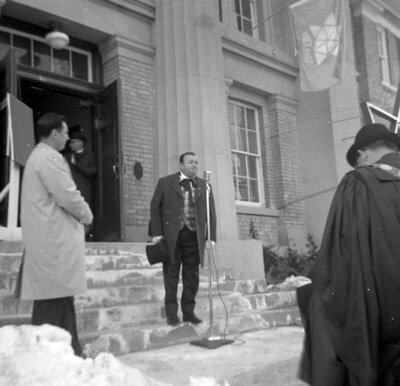 Whitby Centennial Building Opening, February 18, 1967, Brian Winter. Whitby Archives A2013_004_102.